We all have to go sometime, but some of us are going to kick the bucket in ways that are so weird, they might just overshadow our lives. Here are eight people in history who died pretty bizarre deaths. Sure, you remember him as a master magician, but did you know Houdini died during one of his own magic tricks? After emerging victoriously from an underwater safe he had been locked in, Houdini keeled over dead, having forgot to free his pancreas, which was locked in a separate underwater safe. This voodoo genius was one of the greatest guitar players of all time, which is why the music community mourned after he tried to play a giant neon guitar outside a Hard Rock Cafe and got electrocuted. Is there such a thing as a composition so hauntingly beautiful and elusively difficult that anyone who manages to successfully perform it immediately dies on the spot? This was the very question Mozart was trying to answer when he was trampled to death by two mules. 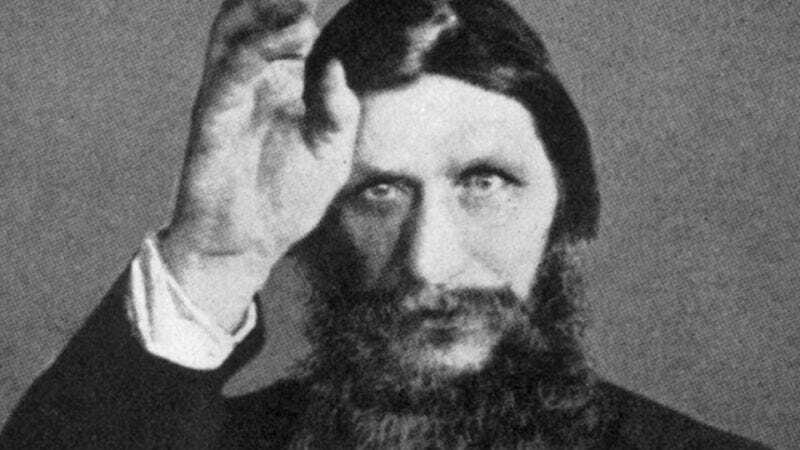 Despite his being beaten, shot, poisoned, and thrown from a cliff into the frigid river below, the actual cause of Rasputin’s death was heartbreak. The namesake of the Eiffel Tower met his untimely demise when he accidentally wrote “Build This Thing On Top Of Me” at the bottom of the tower’s blueprint. Many people know that these two died on the same day, which amazingly happened to be July 4. But did you know that they also died in the same barrel going over Niagara Falls? What are the odds?! Pound remains the only poet to die on the baseball field, taking a line drive to the temple. Henry VIII had his second wife executed in the Tower of London. When the blade came down, however, onlookers were amazed to see the executioner remove his mask and reveal himself to be none other than Anne Boleyn! After a brief standing ovation from the audience, the second Anne was beheaded and buried next to her other body.